Kentucky's higher education system includes eight public universities, 16 colleges within the Kentucky Community and Technical College System, and 25 accredited independent institutions. That translates to plenty of higher education options for Kentucky students, but it's important for aspiring students to do their research to ensure they pick the school that's right for them. This page offers tools and data that can help, including rankings that list Kentucky's best overall colleges, information about financial assistance programs, and data that shows the real cost of college in Kentucky. Searching for the right school can be daunting, so we've made the task easier by rounding up the top colleges in Kentucky to give prospective students an idea of the state's best academic offerings. Rankings are determined by a combination of factors, such as tuition, access to financial aid, graduation rate and student-teacher ratio. Even if students don't see their perfect fit here, they can use the list to gauge the quality of other Kentucky colleges. See which Kentucky colleges and universities made the cut for the 2017-2018 academic year. Many variables come into play when it comes to choosing the right college. Prospective students can use this search tool to find and compare colleges in Kentucky that fit with their academic, financial and lifestyle needs. Sort through the options to filter for variables such as cost, degree level and student population, and make side-by-side comparisons to find the perfect college match. Every month, KHEAA publishes its College Connection Newsletters, which provide students and parents with relevant, timely information to help prepare for and navigate through college. Readers can find pre-college checklists, scholarship opportunities, tips for writing entrance essays, financial aid information, and news about local higher education programs. KHEAA keeps a year's worth of past issues on its website, and readers can sign up for email notifications when new editions are posted. Kentucky launched its 15 to Finish campaign in order to help college students graduate on time. The campaign provides resources and advice to help students attain the goal of taking 15 credits per semester, which will allow them to finish their degrees in two or four years, depending on the degree program. The campaign pushes to make 15 credits per semester the standard, full-time course load, because students who finish their degrees on time incur less debt and are able to join the workforce sooner. Kentucky's Close the Deal program was created to encourage high school students to seek higher education, whether through a one-year certificate program or a four-year degree. High schools with historically low college admission rates partner with business and community leaders to help prepare students for contemporary workforce demands and education after high school. These leaders work with students to set and meet college and career goals, and then guide them through the admissions and financial aid processes. State education professionals also participate to help school guidance counselors improve their college and career advising. Looking solely at tuition and fees can give students a skewed picture of the cost of attending college. By reviewing recent financial aid statistics, such as how many students receive assistance and how much money is awarded on average, prospective students can get a more thorough understanding of college costs. Take a look at the charts below to see how Kentucky colleges compare with national tuition rates and financial aid disbursement. A quality education doesn't necessarily mean breaking the bank. Along with financial aid programs, Kentucky has multiple colleges with low tuition and fees. Combine these two factors, and you've got the most affordable colleges in Kentucky. Check out these top six, based on net price, and see where Kentucky ranks nationally for affordability. Students often need to borrow money to help pay for college, but the pain of post-graduation debt can be eased by landing a well-paying job within a few years of earning a degree. These Kentucky colleges turn out the state's highest-paid alumni 10 years after they entered college. Whether it's because of low tuition, significant financial aid packages, comprehensive planning tools, or a combination of all three, some colleges leave their students with a little more change in their pockets when graduation rolls around. Check out which colleges in Kentucky have the lowest alumni debt. Sometimes prospective students find their perfect college - the right program at the right price - only to find that the area's high rents, expensive utilities or pricey groceries make attending school unfeasible. Fortunately for Kentucky students, the state's cost of living is generally lower than the national average, especially for housing. Prospective students can look at the table below to get a breakdown of the cost of living in Kentucky and its largest metro areas. The Council for the Accreditation of Educator Preparation accredits Bellarmine University's Annsley Frazier Thornton School of Education. Like Louisville, Lexington has a little bit of everything when it comes to colleges. While the city has fewer schools overall to choose from, students here can still pick between a private college, a public university and a public community college. All three schools are tightly clustered in downtown Lexington, so students get the ultimate mix of metropolitan life and close-knit college community. Founded in 1865 with only 190 students, the University of Kentucky now has a student body of over 26,000 students, making it the largest college in the state. UK has more than 200 academic programs offered through 16 colleges and professional schools, giving students plenty of routes to pursue. In addition, some 450 student organizations allow students to get involved in extracurricular activities and build relationships with peers. This private liberal arts college is the oldest in Kentucky. Transylvania University is affiliated with the Christian Church (Disciples of Christ), but welcomes students of all faiths and cultural backgrounds. The school has just over 1,000 students, most which receive some form of financial aid. Transylvania University boasts small class sizes along with 38 majors and 37 minors from which to choose. Students who don't find the right major fit even have the option to build their own. One of the state's largest community colleges, Bluegrass offers students six physical locations in addition to online course options. The school has been in operation for more than 75 years and aims to provide students with technical education and workforce training. Students can choose from over 200 degree, diploma and certificate areas of study. With its seven public and private schools, Louisville has the most nonprofit colleges in Kentucky. Very few Kentucky colleges are public, but Louisville is home to two: one university and one community college. This means that Louisville students shouldn't have to look far to find a school that fits with their lifestyles and academic goals. The University of Louisville, Jefferson Community and Technical College, and Bellarmine University are three of Louisville's most popular accredited colleges, and are all located within minutes of downtown Louisville and the Ohio River. A public, four-year university with some 22,000 students, the University of Louisville is a nationally-recognized metropolitan research university with three campuses in the city, plus online options. U of L students can choose from 12 colleges and schools and over 170 fields of study to earn their associate, bachelor's, graduate and professional degrees. Jefferson Community and Technical College is the largest school within the Kentucky Community and Technical College System, and lets students choose between six locations, as well as online courses, to make the experience as convenient as possible. Students can enroll in workforce training and technical programs designed to lead to high-skill, high-wage careers. JCTC offers more than 70 programs of study with 300 degree, diploma and certificate options, and credits are transferable to many of Kentucky's four-year universities. Bellarmine is an independent Catholic college that specializes in liberal arts studies. The student population is just under 4,000 students, half of whom ranked in the top 25 percent of their high school classes. The school offers degrees in 50 majors as well as study abroad and varsity sport opportunities. While Bellarmine is rooted in its Catholic tradition, it also aims to follow in the footsteps of monk Thomas Merton, who believed in recognizing the diversity of cultures and faiths. This need-based grant provides financial assistance of up to $1,900 to undergraduate students who attend eligible Kentucky schools. A resource for adult learners within the Kentucky higher education system, this site includes information about educational programs and tips for successfully joining the workforce. Learn about each school and its offerings on this hub page for Kentucky's community and technical colleges. 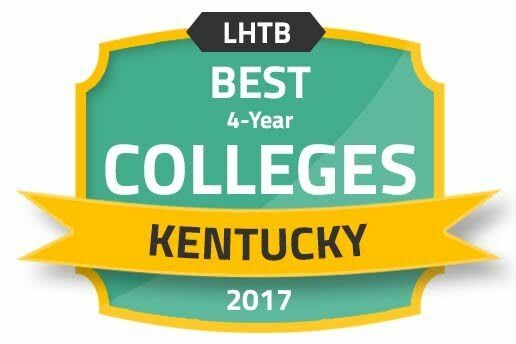 Provides information on Kentucky colleges and universities, as well as planning tools and guides for prospective college students and parents. Provides information and advice geared toward helping technical students transition into the workforce. Get information on scholarships and grants available to Kentucky students. Through this scholarship program, Kentucky high schoolers can earn money for college by getting good grades and test scores. Any student with a minimum 2.5 GPA can earn money, and award amounts increase with higher grades. A multitude of useful guides, tools, articles and other resources for high school and college students and their families. Created to give additional financial support to students whose college expenses aren't completely covered by state, school and federal financial aid.